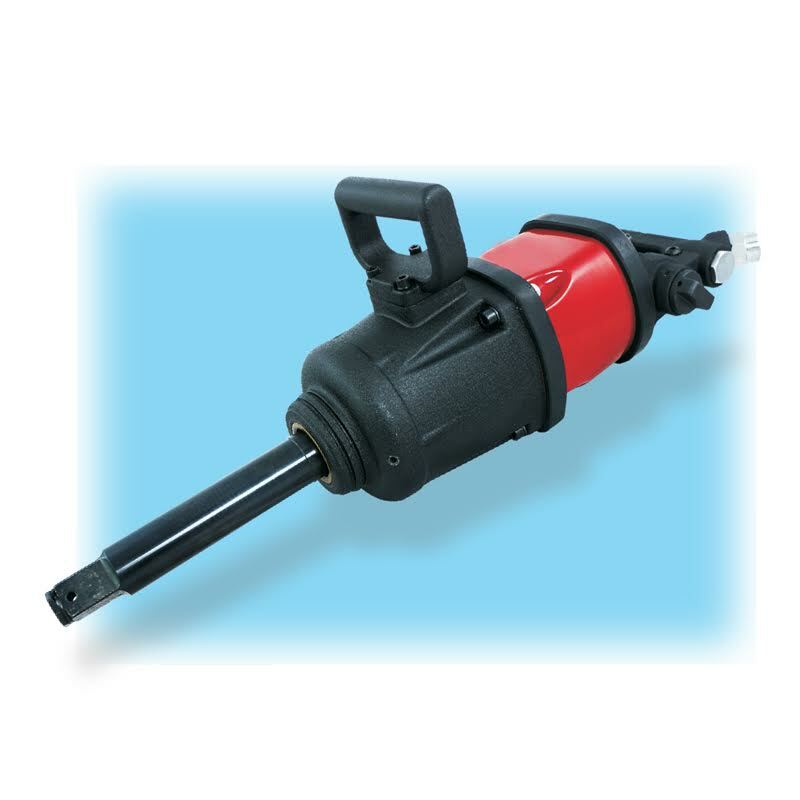 This tool features an even greater torque output for the removal lug nuts and heavy equipment bolts. It has a tapered nose for access into restricted areas. The extended anvil can reach into deep tire wells. It utilizes both side handle and end handle for more control during operation. These impact wrenches are designed for the removal of truck and bus lugs nuts. They are the perfect tool for the heavy equipment professionals. Always run this tool using 90 PSI and make sure your air is clean. This will increase the life of the tool. Proper lubrication is also important in maintaining the tool and extending its life.